One Show Only @ The Cinema Arts Theatre in Fairfax, VA! Dr. Tom Catena’s patients come to him from hundreds of miles away on foot, in carts, or often cradled in their mother’s arms. The only surgeon within 200 miles, ‘Dr. 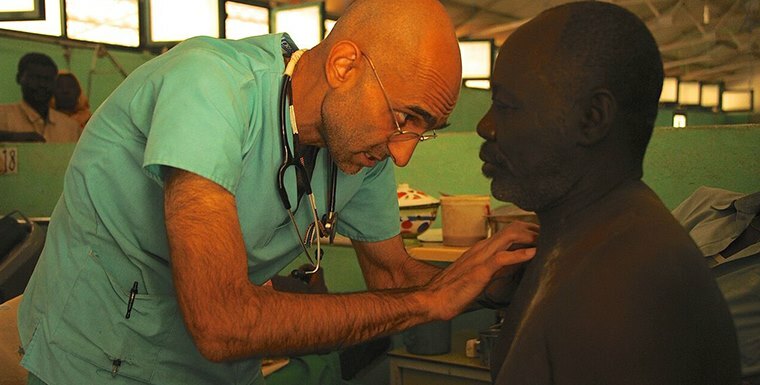 Tom’ does his best to save lives in the midst of carnage and terror, treating as many as 400 patients a day at Mother of Mercy Hospital, nestled in the heart of the Nuba Mountains of Sudan. The region is targeted by Omar al-Bashir, the world’s only head of state indicted by the International Criminal Court for crimes against humanity and war crimes in Darfur. Surrounded by a country at war, living under the constant shadow of aerial bombardment, Dr. Tom and his mostly local staff defy Bashir’s ban on humanitarian aid and work tirelessly to serve the Nuba people.